AANVA is an approach to creating exciting sentences that I was introduced to by colleagues at one of the schools I taught at and I have spent a bit of time developing it further such is the ease with which children can develop thier own amazing sentences. 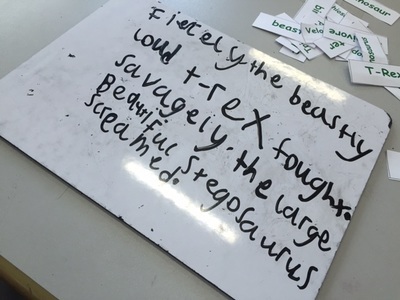 AANVA stands for Adjective, Adjective, Noun, Verb, Adverb... it gives everyone a starting point from which to begin writing and in the particular school I was working I developed this with 6 and 7 year olds who loved the concept and were amazed at how quickly they could produce award winning sentences! I know this is a site for Key Stage 2, but this can begin much lower down the school and is really useful for children to see. I know that it can work effectively with 6 and 7 year-olds to boost their confidence in writing and in creating effective sentences from words. 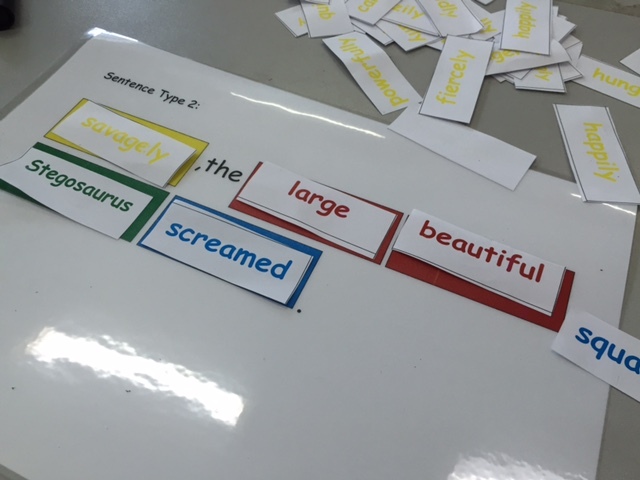 We teach children from a young age that sentences are simply composed of building blocks (or words). 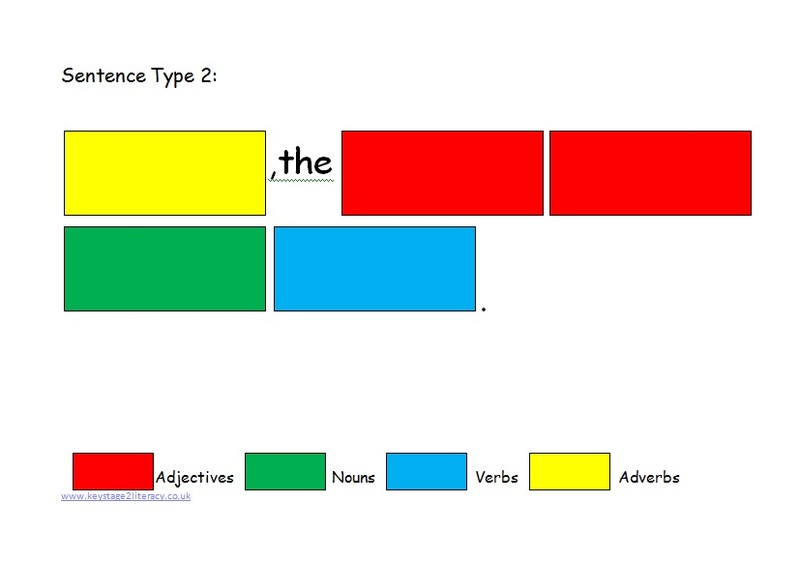 If we select the right word in the right place, we can end up with very exciting sentences. 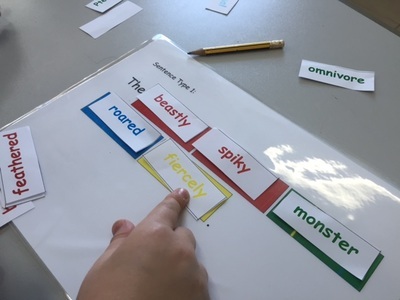 Many children will want to run before they can walk with this activity so please don't feel you need to open it up to Sentence Level 4 in the first session. 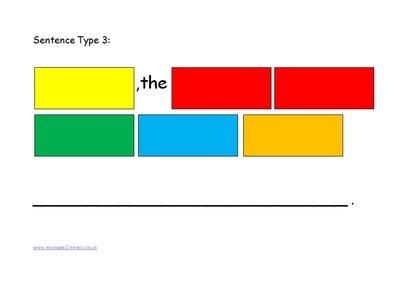 Once the children know the colour coding, stick to it all year. 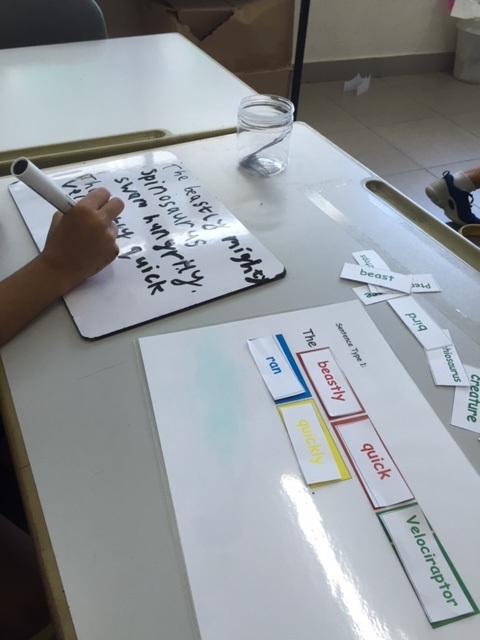 The children can make their own words for each of the word groups too! Please click on these images to see them clearly! It must be mentioned that all abilities achieved in this session and I came back to and referred to this activity time and again over the course of the year. Every child feels like they have achieved and they all end up with great sentences in their books or on their whiteboards. 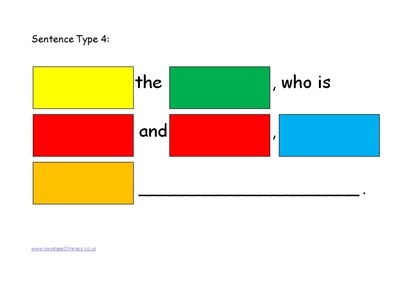 Please note, I would not use this activity all year to get children to write but would hope that they would learn the different sentence types and their building blocks! These resources are FREE! Please help yourself to a Powerpoint Presentation to facilitate the lesson and the sheets that you will need. NB: it might be useful to print the middle resource for pairs and threes (quite resource heavy but well worth it if you laminate the cards and keep them for the future)! 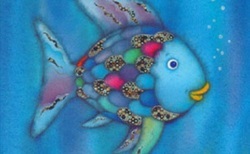 For more resources for The Rainbow Fish, please click here. Have a go at using a more basic version of the AANVA grids here. 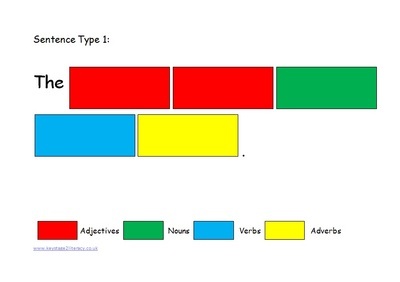 It is wise to start with Type 1 first of all to get used to them and the colour coding. 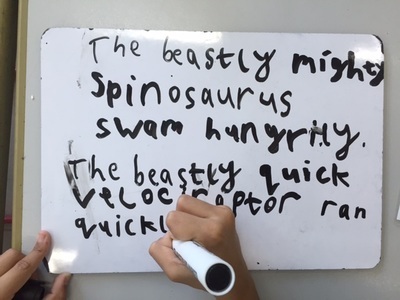 It is a very simple system but with practice, the children will start to write fantastic sentences independently. Click below for the AANVA resource. Have You Used AANVA or Similar? Please feel free to feedback on this activity and its resources. Have you used anything similar?